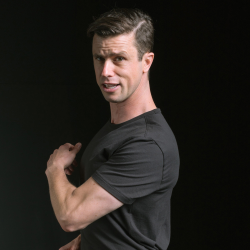 With its initial run virtually sold out just days after opening, The Marsh San Francisco announces that it has extended Border People,the newest solo show by award-winning actor and playwright Dan Hoyle, into April 2019. Based on Hoyle’s conversations with immigrants, refugees, asylum seekers, and border crossers of all kinds, the show has been greeted with unanimous critical acclaim, earning the highest rating from the San Francisco Chronicle, noting “This is what it is to witness a master of his craft. Dan Hoyle is one of our theatrical gems,” and praised the production as “A testament to the core-to-nerve ending commitment and courage” of those living on borders of any kind. For information or to order tickets ($25-$35 sliding scale Thursdays and Fridays; $30-$35 sliding scale Saturdays, $55 and $100 reserved seating) visit themarsh.org or call (415) 282-3055 (Monday through Friday, 1pm-4pm).